An artisan coffee table in your living room can really enhance the room’s appearance. A low, wooden table placed strategically in a room looks inviting and homely, showing off the room at its best. It’s a great way to entertain informally, too. 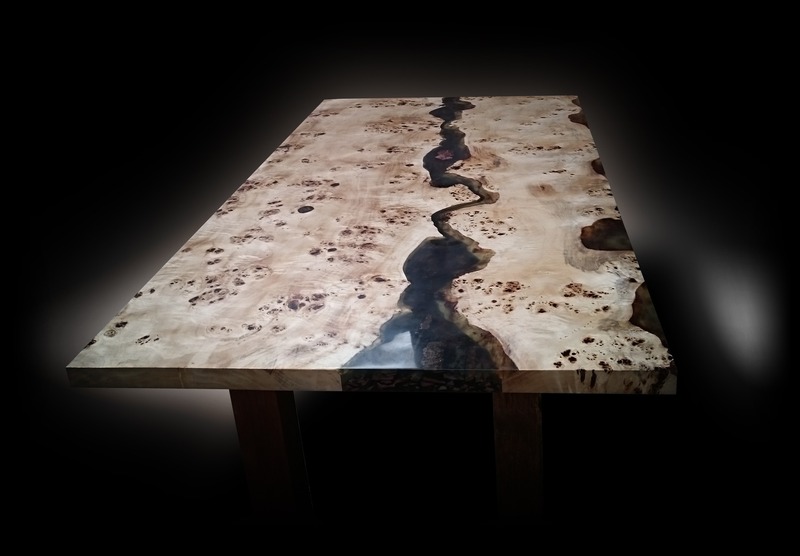 There are coffee tables…and then there are breath-taking coffee tables from Earthy Timber. With prices starting from £5,000, a coffee table from Earthy Timber will become its own talking point. With our expert knowledge of wood and timber craftsmanship, each piece is unique. The warm or cool tones, along with the natural striations within your chosen timber are brought out to perfection. At Earthy Timber, a wood yard and artisan wood specialists, we can source just the right piece of timber to design and craft a coffee table that’s perfect for your living room. Who knew that displaying magazines and newspapers could be done with such panache? Your coffee table will integrate with the room, yet subtly attract attention. We are the only company in the south east to offer a start-to-finish service that incorporates vacuum kiln drying on-site. Wood is precious but unpredictable in many ways; timber incorrectly or inappropriately dried can shrink, bend or warp. Distinct from conventional drying processes, vacuum kiln-drying removes the moisture content of wood to below 10%. The result is a high quality, robust and long-lasting piece that we can turn into a coffee table of style and substance.In years to come, it will still be as useful, gorgeous and practical as the day it is delivered or collected. These are one-off pieces of furniture that you will not see in other homes. Whether your interior is modern, rustic or more traditional, we will choose from our wood yard a plank or planks best suited for your commission. 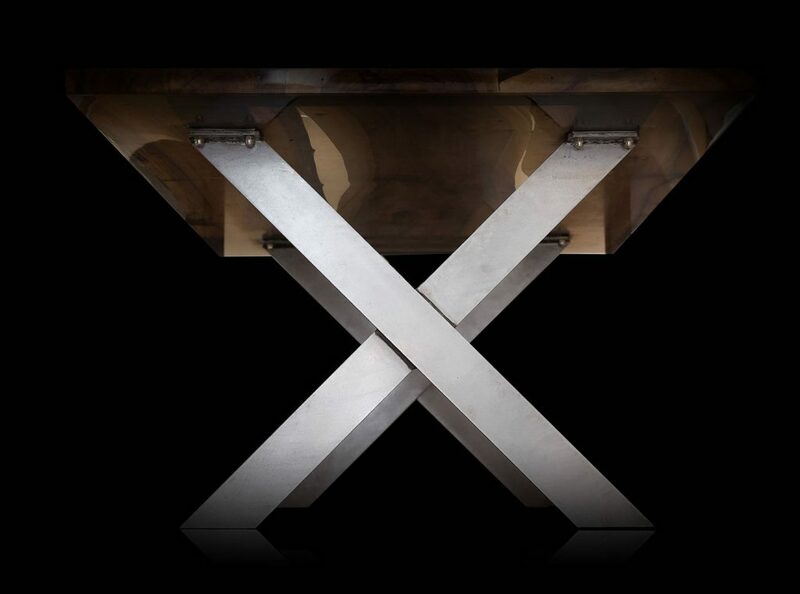 We offer a number of unique, specialist finishes to enhance the beauty of your custom coffee table. At Earthy Timber, we design all our table legs and plates in house. These are an ideal way to complement your table. Please use our contact form to send us the details of your coffee table. We are looking forward to hearing from you.